Take advantage of sharing NOTEL’s exclusive roof top space for your end of year event. Packages are available for parties ranging from 20 to 60 guests with bookings available on week nights throughout December (pending availability). 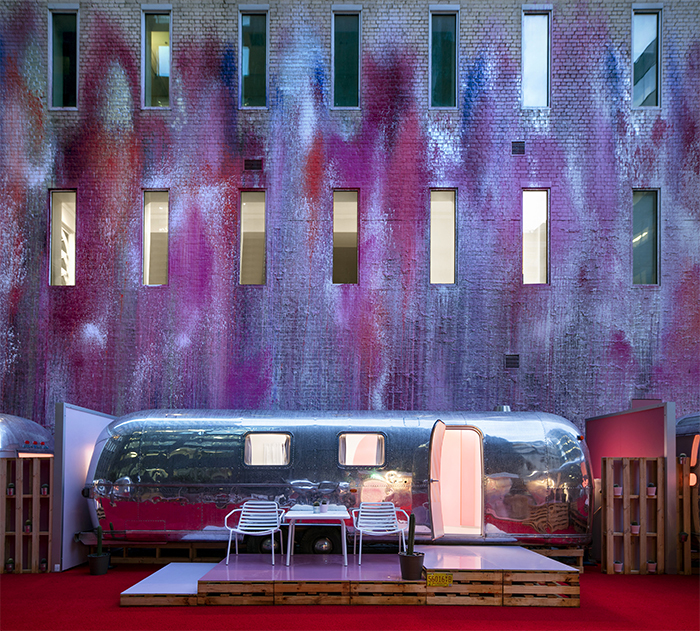 Six chrome airstream trailers on a Melbourne CBD Rooftop, completely refitted as designer urban accommodation. Not a hotel, Notel. If you’re looking for a traditional function space, go somewhere else. If you’re looking for an experience that you’ve never had before, then hit us up. 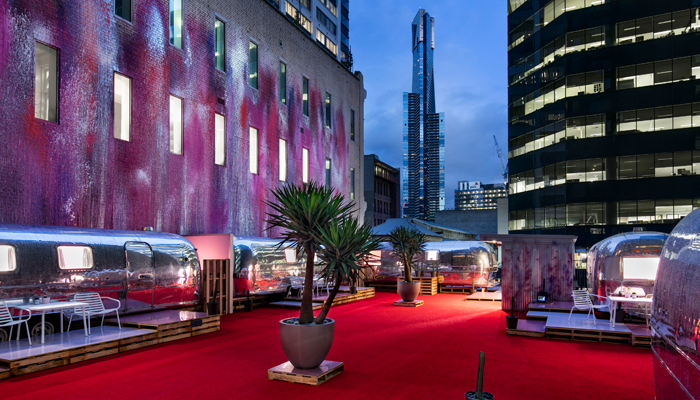 James Fry, owner of Fry’s Fast Park, bought six retro Airstream trailers in the US, shipped them to Melbourne, had them lifted onto to the unused rooftop with a crane and has had them fit out into five-star accommodation. We can accommodate for our guests a marquee, heating, air conditioning, designer furniture, a rocking DJ, a creative and event planner and of course the best in food and beverage courtesy of Blake’s Feast and the Nelson Wine Company. In fact, we can accommodate just about anything that you need for the perfect event with family and friends! 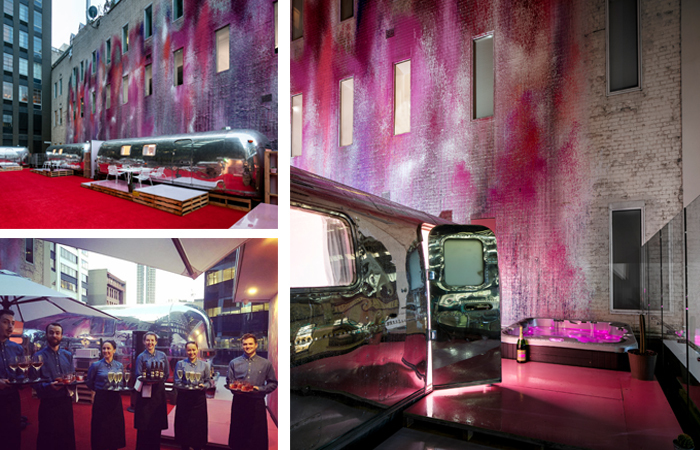 Six vintage Airstreams architecturally redesigned sitting atop a Melbourne CBD rooftop. Not your standard accommodation. Not plain. Not your average function space. Not a hotel. We are NOTEL.